Romania’s incoming president Klaus Iohannis said yesterday (18 November) his party might try to topple Prime Minister Victor Ponta’s government next year, an early sign of the instability that might follow his surprise victory. Iohannis beat frontrunner Ponta in the weekend’s presidential election, promising in his campaign to step up Romania’s fight against corruption and make it a more attractive place for foreign investors. 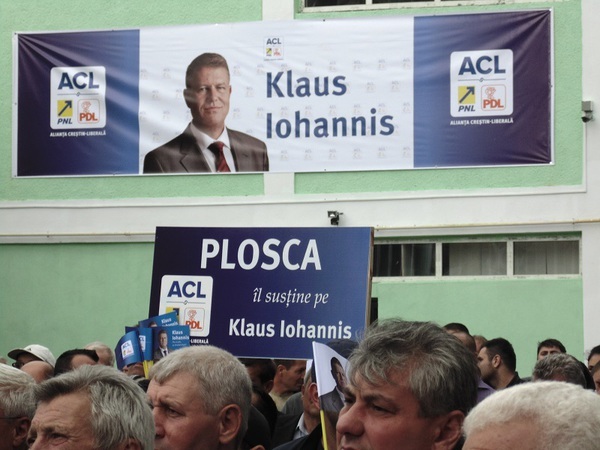 While a Ponta presidency may have brought stability to one of Europe’s poorest countries, a win for Iohannis means that executive powers remain split between rival political camps and could also pressure Ponta’s government to bow out. Political squabbles have often hampered Romania’s progress in its 25 years of democracy. Prime minister since 2012, Ponta often feuded with the outgoing president Traian B?sescu, which stymied policymaking and caused a constitutional crisis. Ponta’s Social Democrats and his coalition partners still have a comfortable-looking majority of nearly 60% in parliament. But Romania has a long history of defections and Iohannis’ own party split from the government in February. To contain the fallout from his defeat, Ponta on Tuesday replaced his foreign minister for the second time in just over a week, after voting problems for Romanians overseas triggered huge protests and helped turn the tide in Iohannis’ favour. Ponta nominated Mihnea Motoc, Romania’s ambassador to Brussels for the last six years, to take charge. Echoing several analysts’ assessments, a note from Nomura on Monday said Iohannis’ election was more risky for Romania in the short term. It heightened the chance of early elections and complicated talks for an ongoing aid deal with the International Monetary Fund. “However, in the medium and long run, we believe there is a chance of a stronger credit story, while the government may actively tackle corruption and promote independence of the judiciary,” it said. The Social Democrats were dogged by several high-profile corruption scandals in the final weeks of Ponta’s presidential campaign. Following his defeat, Ponta said voters had sent a clear anti-graft message and urged his MPs to reject the amnesty bill, which was originally proposed by a member of his party. The decision might send a positive signal to the European Union, which keeps Romania’s justice system under special supervision and out of the passport-free Schengen zone until its performance improves (see background). When Bulgaria and Romania joined the EU on 1 January 2007, there were shortcomings remained regarding judicial reform and the fight against corruption in both countries. In the case of Bulgaria, problems also remained regarding the fight against organised crime. A Cooperation and Verification Mechanism (CVM) was set up to assist both countries with judiciary matters after their EU accession. Seven years after their accession, the CVM is still ongoing and will continue under the next EU Commission. Lately, the Commission reported under CVM every year with reports on progress with judicial reform, the fight against corruption and, concerning Bulgaria, the fight against organised crime. The last report on Romania was largely seen as positive.